is a business unit of the Group Cakrawala Arga Nusantara in services and civil works contractor, mechanical electrical, telecommunications, and equipment suppliers. is one of the business units of the group Cakrawala Arga Nusantara engaged in housing that is currently working with the retired Navy for the construction of residential areas Depok West Java. 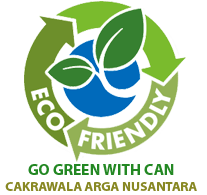 is a business unit of the group Cakrawala Arga Nusantara working in the field of IT which provides solutions and consulting, application software development, computer networks and providing information technology devices.